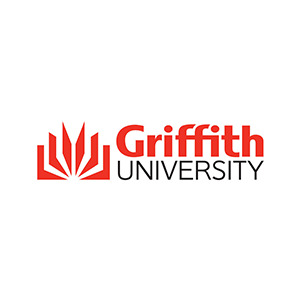 Griffith University is comprehensive research-intensive institution, ranking in the top 3% of universities worldwide and in the top 50 under 50 years old. The University has a long-standing reputation in environmental science and especially so in the water sciences. The University was host to one of the original centres of excellence established in 1987 by the Australian Water Research Advisory Council and subsequently played a major role in three aquatic and catchment-based Cooperative Research Centres ? Freshwater Ecology; Catchment Hydrology; Coastal and Estuarine Waterways Management. Since 2006, the University has hosted the Australian Rivers Institute (www.rivers.edu.au), with over 150 staff and students engaged in river, catchment and coastal research and training. Griffith University is also a founding partner of the International Water Centre (www.watercentre.org), and is host to the Sustainable Water Future Programme (www.water-future.org), a new global science initiative established under Future Earth. This project was managed by IWC as part of the Australia-China Environment Development Partnership. The project was undertaken in partnership with MWR and MEP, and aimed to improve China�s national approaches to water resource management in the areas of river health and environmental flow assessment and implementation. The project included field studies in the Liao, Yellow and Pearl River Basins. (see http://www.watercentre.org/portfolio/acedp).,We led the development of indicators for Key Dimension 4 of the 2016 AWDO � on Environmental Water Security (see https://www.adb.org/sites/default/files/publication/189411/awdo-2016.pdf). This built on work undertaken under the Australian Water Research Facility (another DFAT funded initiative), mapping threats to river ecosystems at the global scale (see http://riverthreat.net/).,Griffith University co-led the development of the $30m science and knowledge program to support the sustainable use and management of Australia�s tropical rivers and estuaries. This brought together more than 80 of Australia�s leading social, cultural, environmental and economic researchers, with a degree of coordination and integration not previously seen in the region. The TRaCK consortium continued to deliver a number of freshwater biodiversity projects as part of the NERP Northern Australia Hub. TRaCK partners are currently involved in delivering projects under the NESP Northern Australia Environmental Resources Hub. (see http://www.nespnorthern.edu.au/track/).,This 2009 Report Card was the first of its kind on the health of the Porgera/Strickland River system downstream of the Porgera Gold Mine operations. We provided the technical assistance for the Porgera Environmental Advisory Komiti (PEAK), the independent committee overseeing the overall environmental and social sustainability of the Porgera mine�s operations in PNG (see http://www.barrick.com/files/porgera/PEAK-Porgera-Report-Card-2010.pdf).,Griffith University led the Ecological component of the National Riparian Lands Program for Land and Water Australia commencing in 1993 (see http://lwa.gov.au/programs/national-riparian-lands-program). Phase 1 had funding of $4.6 million from Land & Water Australia, $0.7 million from third parties (mainly state agencies) and $2.3 million from research organisations. The program featured a strong communications effort with a series of River and Riparian Management Fact Sheets, and River and Riparian Management Technical Guides.,Griffith University has formally collaborated with Seqwater over the last 14 years involving a multidisciplinary range of researchers tackling research challenges identified by Seqwater. Our expertise has focussed around risks to water quality from catchment to river to reservoir throughout southeast Queensland. There are many examples of areas where our research has had impact on Seqwater�s business (e.g. Development of management actions to reduce diffuse pollutants (nitrogen and phosphorous) and improve channel stability at a local, reach and whole of catchment scale, cost-effective monitoring of manganese, understanding drivers of toxic algal blooms and triggers for management actions, etc).